We are all expats in Gent for different reasons and under different circumstances. Some of us may have family with us, including pets, while some of us may not have been able to bring pets, or may not be allowed to have pets where we live. 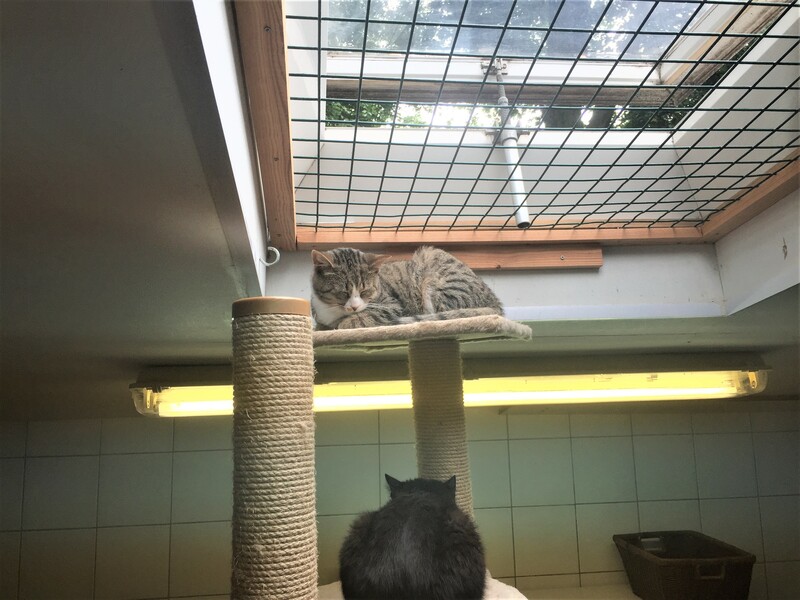 Whether you are looking for a perfect canine or feline companion, or you just wish to spend time with dogs and cats but can’t have one of your own in Gent, you should know about Dierenasiel Gent! 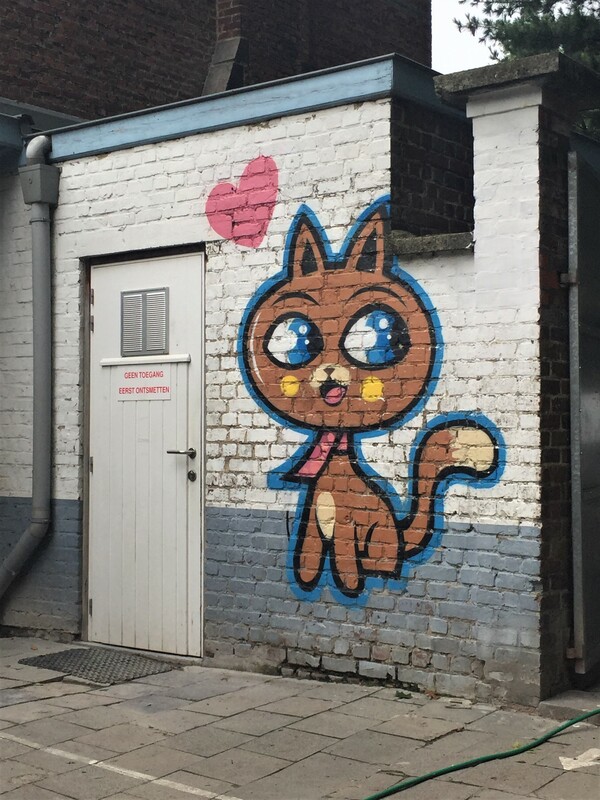 The official name for the animal shelter (often referred to in Belgium as an “asylum” or in Dutch, “asiel”) in Gent is De Koninklijke Maatschappij voor Dierenbescherming vzw (KMD Gent), The Royal Society for Animal Welfare, but it is more commonly known as Dierenasiel Gent. It was founded in 1897 as De Maatschappij voor Bescherming der Dieren van Gent/Oost-Vlaanderen and received the title Koninklijke Maatschappij voor Dierenbescherming from King Albert I in 1923 on the occasion of its 25th anniversary. With a small staff and many volunteers, Dierenasiel Gent receives and cares for lost or homeless dogs and cats in Gent. Their goal is to find and return lost pets to their owner, and adopt homeless pets to a new owner. All animals taken into the shelter receive veterinary care as needed, including vaccinations, sterilization or castration, deworming, identification chip insertion, and national registration. Dierenasiel Gent’s mission is to promote and ensure the health and welfare of dogs and cats in Gent and to create awareness of animal welfare issues in the city among all Gentenaars, young and old. They educate and encourage the public to practice humane and responsible pet ownership. Youth organizations and schools can contact the shelter to arrange an educational tour of the facility and to learn about animal welfare. Similarly, rest homes and service homes for seniors can also arrange visits from shelter animals. Dierenasiel Gent is located at Paul Bergmansdreef 2, which is inside Citadel Park, and has been at that location since 1958. The building can be hard to find, positioned in the southern corner of the park, next to the larger of the park’s two ponds. The shelter is open on weekdays from 10.30 – 12.30 and 13.30 – 17.00, on Saturdays from 10.30 – 12.30 and 13.30 – 16.30, and closed on Sundays and holidays. While you can visit any day during open hours, the shelter also hosts an open house for visitors every fall. You can contact Dierenasiel Gent by phone at 09 222 53 03, by email at info@dierenasielgent.be, or through forms on their website. They also have a Facebook page and Instagram account. Through their website you can sign up for a monthly newsletter by email. In the fall of 2018, the organization will move into a new location on the Watersportbaan. The construction of the new shelter is being funded 49% by the city of Gent and 51% by the KMD Gent vzw. The shelter has a wishlist of items that individuals and companies can purchase to help fund their portion of the building project. Dierenasiel Gent benefits from donations from individuals and companies to fund their operations. People and organizations can support them through memberships, small and large gifts, sponsorships of animals and events, and legacy donations. A cat available for adoption enjoys a nap in the sunlight at Dierenasiel Gent. People can also support the shelter through volunteer work. You can volunteer anytime during open hours but you must, of course, be in contact with them first to make arrangements. Volunteers (vrijwilligers) can assist in many different ways and as often as they would like by scheduling their time with the shelter staff. Volunteers can assist with caring for the animals and the facilities, promoting the shelter and its work through social media, becoming a foster parent for cats, or by walking the dogs daily as members of the Wandelclub. The Wandelclub is a wonderful program that allows Gentenaars to walk shelter dogs in Citadel Park every day. This is a great way for people to spend time with dogs, and a very important activity for the shelter dogs. It is good for their physical and mental health to get out of the shelter for walks during the day and to socialize with humans. 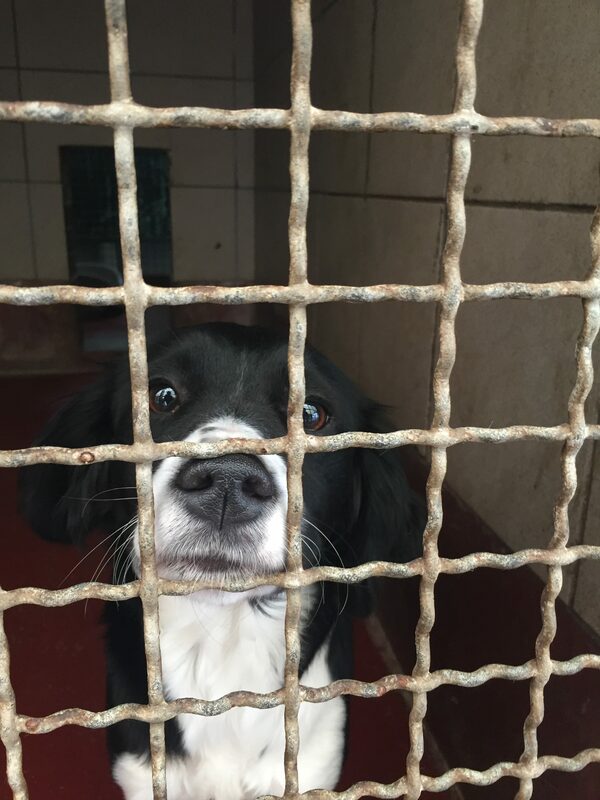 It is also a great way for potential adopters to meet dogs to see if they are suitable companions for them. A dog from Dierenasiel Gent on a walk in Citadel Park. To join the Wandelclub, you must first register as a member and pay a 15 € membership fee (10 € for students, and other membership levels are also available). On your initial registration visit, the shelter asks that you arrive at least one hour before closing time to complete the registration and membership process. You will need to show them your identity card and complete some paperwork. You will then receive your Wandelclub membership card which is required for walking. Wandelclub members can request to walk specific dogs, or type and size of dog, if available. If you are walking with a child, they will only pair you with a child-friendly dog, and they will give you an extra leash so your child can help with the walk, though an adult must always be in control of the dog. Dogs must be returned at least 30 minutes before closing time. Dogs can be walked for a maximum of 60 minutes per individual visit, although sometimes this is reduced to 30 or 45 minutes, depending on the weather (in extreme heat, for example) and the number of walks the dog has already taken that day. It is best to ask about walking restrictions each visit. If you prefer to volunteer your time with cats, you can discuss options with the staff such as fostering cats in your home, or spending quality time with them in the shelter. If you are looking for other volunteer activities with animals, you can search the city of Gent’s website for volunteers at https://vrijwilligerspunt.stad.gent or the Flanders website for volunteers at https://vrijwilligerswerk.be. At both sites, use the search category “dierenverzorging” (animal care). Additionally, if you’d like to spend more time with animals, while these are not volunteer opportunities, you could also consider offering pet care services on Pawshake, or enjoy a visit to DreamCATchers, Gent’s cat café. 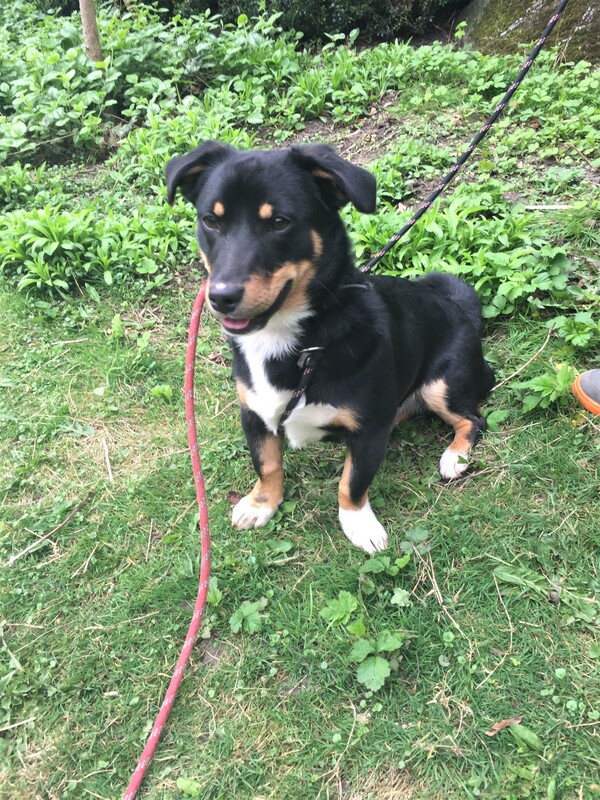 A dog available for adoption at Dierenasiel Gent. Can you resist that sweet face? In Flanders in 2016 (the most recent data available), official records show that 9,336 dogs and 17,938 cats came into asylums throughout the region. While 3,799 dogs and 710 cats were returned to their owners, 185 dogs and 1,422 cats were euthanized. Fortunately, 4,919 dogs and 13,301 cats were adopted. Dierenasiel Gent does not euthanize animals except for extreme cases where it is deemed necessary due to medical reasons, for the welfare of the animal, or for the safety of the public. With so many dogs and cats being surrendered or found in Flanders each year, adoption is a wonderful way to add a pet to your family. Adoption also helps organizations like Dierenasiel Gent promote responsible pet ownership and animal welfare, and combat the negative effects of irresponsible pet breeding and sales. Among some people, shelter pets have a reputation for being undesirable, dangerous, or unhealthy, but this is not true. Dierenasiel Gent’s educational efforts help to dispel this misconception. You can view adoptable dogs and cats online prior to visiting the shelter. If you are interested in adoption, a visit to the shelter is important to meet the animal(s) and ensure they are a good partner for you. Through a personal visit, the shelter will assist you with any further questions and information. Dierenasiel Gent must approve all adopters and reserves the right to refuse adoption for the best interests of the animal. The non-refundable adoption fee is 170 €. This covers the cost of vaccinations, sterilization or castration, microchip insertion, and national registration. This cost and these procedures are necessary because in Belgium, it is required to castrate/sterilize a cat before its sale or adoption. It is also compulsory to register dogs and cats in Belgium. Art inside the Dierenasiel Gent. Find out more about owning a pet in Gent by visiting the Flemish government’s website at http://www.huisdierinfo.be/ and by reading our article, Bringing Your Pet With You. In Flanders, the Departement Omgeving, the Environment, Nature and Energy Department (LNE), oversees animal welfare. At their website, you can find resources, data on animal welfare, and can report animal abuse and neglect. There, you can also find a list of other recognized animal asylums and boarding kennels/pensions. Read other tips for finding a pet sitter in Gent in our article, Sharing Economy Platforms. Owning and caring for a pet is a big responsibility. 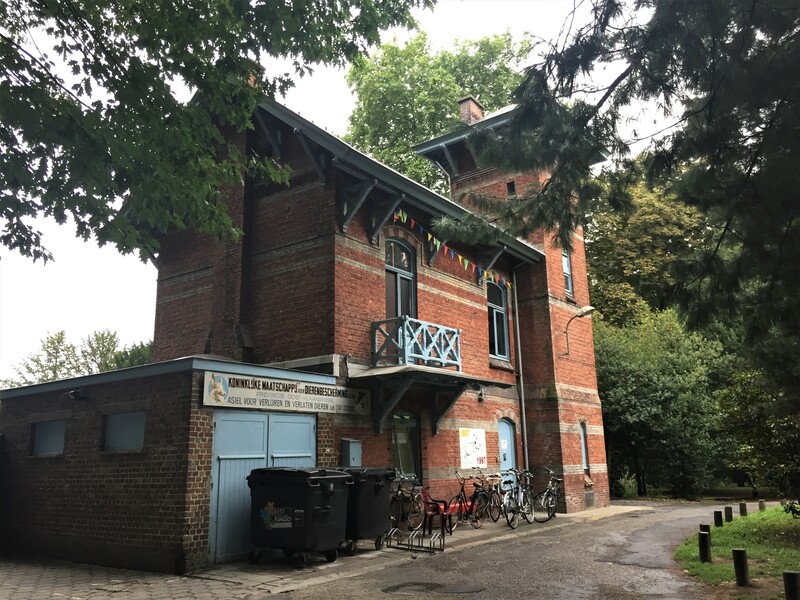 For expats in Gent, Dierenasiel Gent is a wonderful place to learn about animal welfare, find a pet, or volunteer your time to be around dogs and cats if you can’t have a pet with you here! The Square.Gent 1 year birthday!